Apples are such a symbol of fall, aren’t they? 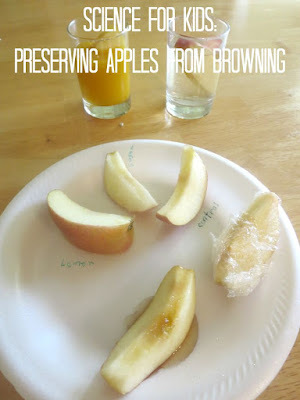 In the past, we enjoyed apple taste test experiments, but this year I thought of another open ended fall science experiment with apples – designing ways to preserve cut apples from browning. When we did science experiments in preschool, my primary goal was to show my preschooler that science is amazing and to nurture her curiosity about the world around her. 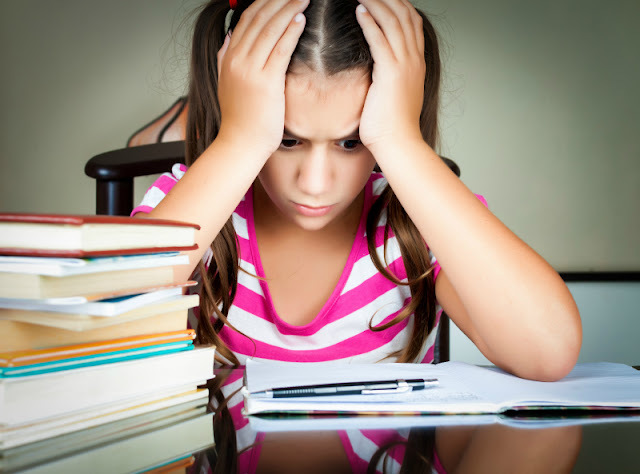 But when we conduct science experiments with older children, the goal is to have them start thinking as scientists do – identifying problems, brainstorming solutions, formulating a hypothesis, and designing ways to test it. We also want them to learn to record data in some way, even though it could be very rudimentary for younger students. In this experiment, we discussed the problem of apples turning brown when cut and exposed to air – a problem Smarty is well familiar with, since she won’t eat any fruits unless they are freshly cut. I asked her to think of ways we could preserve an apple while still keeping it edible. Smarty correctly deduced that air is responsible for browning of apples and thought of the ways to protect an apple from air. She wrote her original list on the left side and then reordered it with her predictions which method will work best. She also remembered that one slice needs to be kept as a control slice. 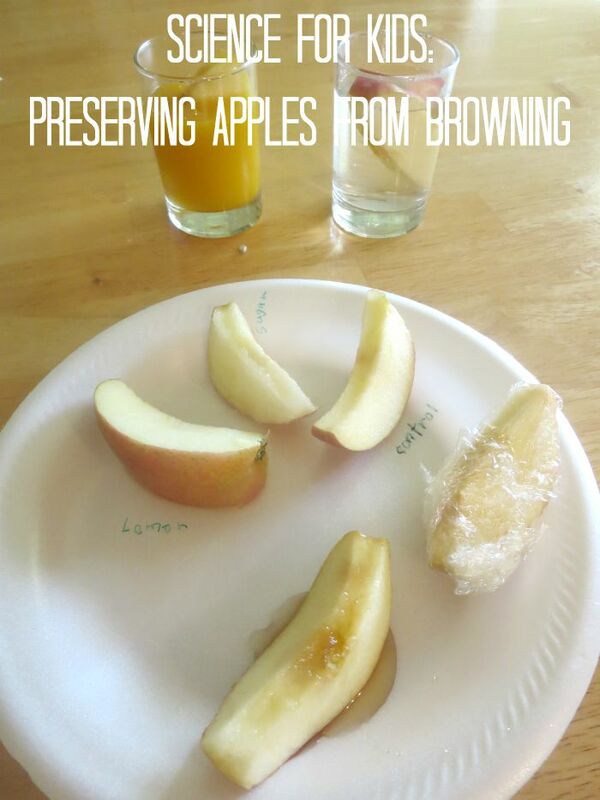 Our apple corer cuts an apple in 8 slices, so she really wanted to have 7 different ways to preserve an apple. Since none of us felt like eating a banana, we replaced her original banana peel idea with a plastic food wrapper for one of the slices. We have tried to make sure that our cut apple slices spend as little time in open air as possible, so we prepared everything in advance. Then we “treated” every apple slice with different substances and left them sit for 3 hours. Smarty signed the slices that look somewhat the same, and one slice went into a freezer. An apple slice in sugar gave out a lot of juice, creating apple syrup. She said that it was the tastiest part of an entire experiment. An apple slice in honey didn’t do as well as she expected, it definitely browned almost as much as control. Surprisingly, an apple slice in plastic food wrap did very poorly, that’s a slice in the top right corner of the picture above. I actually expected it to do better. An apple slice in the freezer did very well and was perfectly white, but it was also quite hard to bite through and appeared dry. WINNER: Lemon juice, which preserved the color and mostly the texture of our apple slice. How do you encourage kids think like scientists? Follow my Science Pinterest board with round ups of science experiments and my Biology Experiments for Kids board with specific experiments on living organisms. Follow Natalie Planet Smarty Pants's board Biology Experiments for Kids on Pinterest. Apple Array Practice for Second Grade from Look! We're Learning! lol..my kids would love the sugar one too! I love how you had her come up with the possible solutions...great scientific reasoning practice!! A great experiment for a second grader to do.I'm looking forward to doing it with my own son.